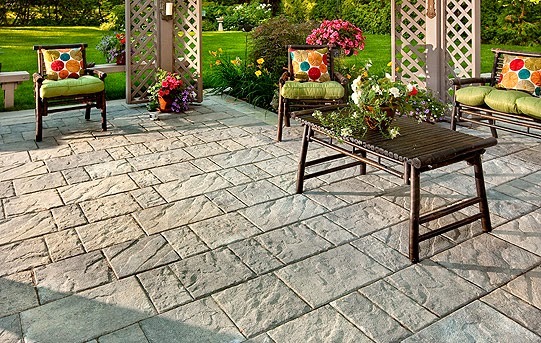 Slab style pavers are getting more popular. 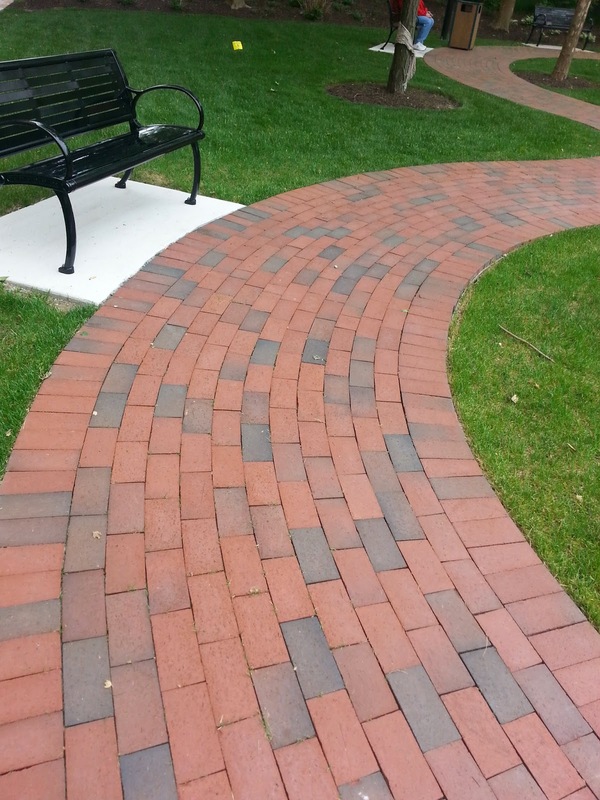 The larger size pavers have a unique look and can be installed in many different ways with interesting borders, 45 degree angles, random patterns, running patterns (like this one). 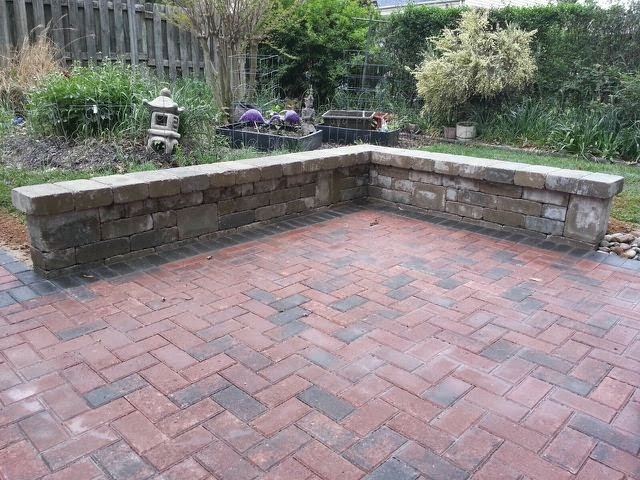 This patio shown here is the BLU 60mm paver made by Techo Bloc. This sitting wall is the random pattern. It's just flipping and mixing up the wall block to break up some joints. Most sitting walls sit about 18" above the patio level. This color is the South Mountain Sand. 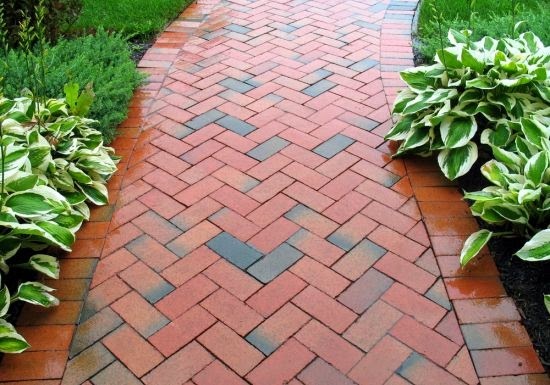 Classic brick walkways. Top picture is a 45 degree herringbone pattern and bottom picture is a running curved pattern. So many designs you can do with this classic look. 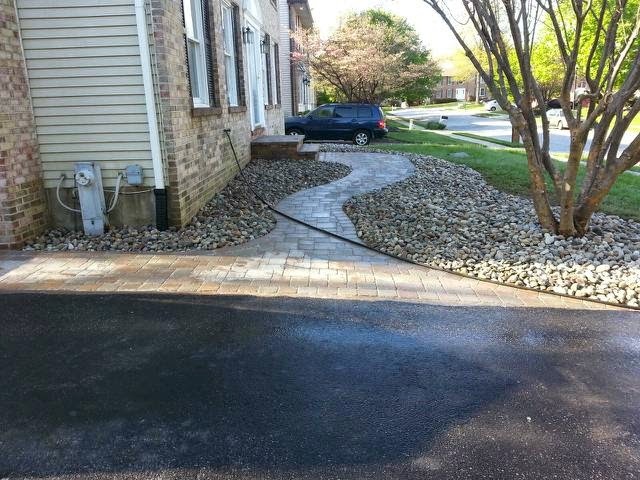 Tumbled finish pavers with decorative river jacks gravel. 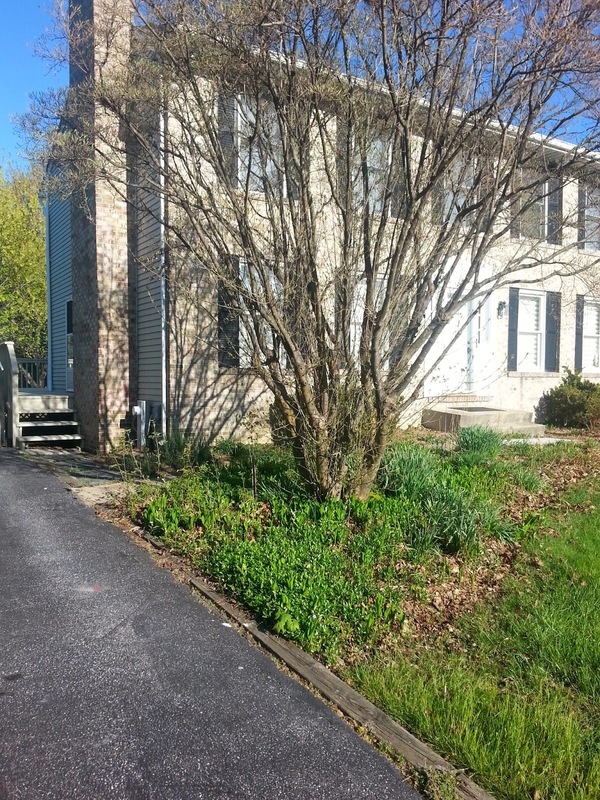 Before picture. New steps. 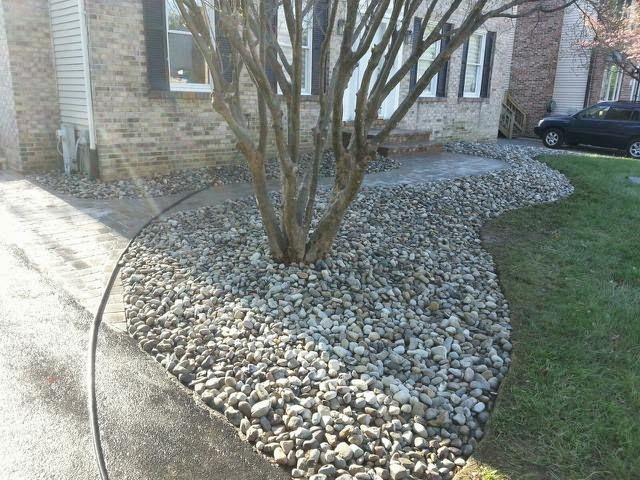 This job is in Owings Mills MD.